Heat Sinks are a form of Heat Exchanger that cools a device by spreading heat into a surrounding medium. Most often surrounded by air, Heat Sinks are engineered to maximize its surface area contact with the cooling medium. Heat Sinks can be found in numerous industrial applications but are most commonly found in electrical devices such as computers. 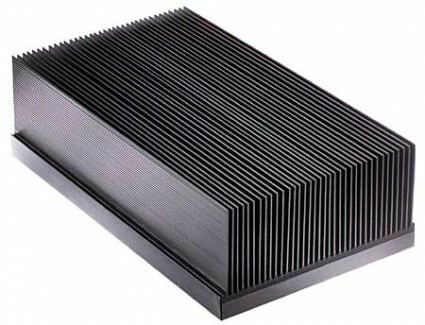 Choice of materials, surface treatment, and fin design all affect the performance of the Heat Sink. These Heat Exchangers can also be found in semiconductor devices such as power transistors, and optoelectronics such as LEDs and lasers.